The recent Google spin-off Niantic Labs is cooking up what might be the first worthwhile Pokémon experience on a mobile device with Pokémon GO. A bit of footage was shown off at SXSW last weekend, but now Niantic has posted some proper details and screenshots. Get your Pokéballs ready. 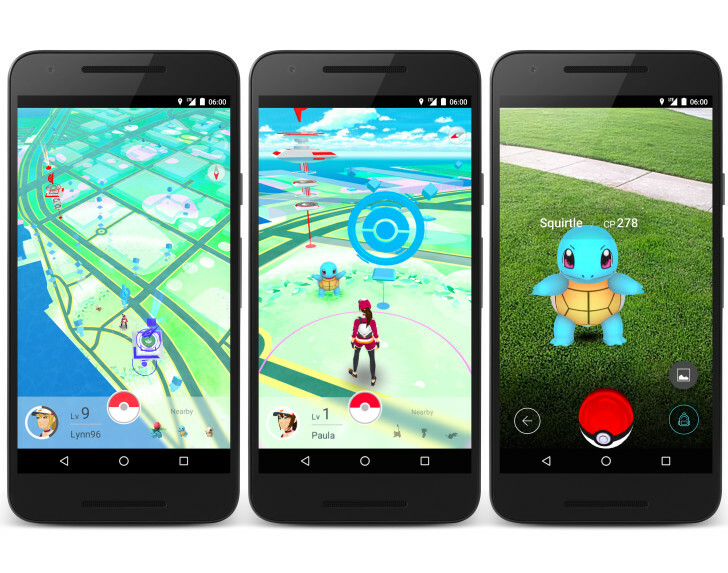 Niantic's earlier games and apps are based heavily on your physical location, and Pokémon GO will apparently be no different. You'll have to venture out into the world to find and capture Pokémon. As you explore the world, your phone will push a notification if there's a wild Pokémon nearby, allowing you to try and capture it. Some wild Pokémon will also only show up in their native habitats too. For example, water types might only be found near bodies of water. The more you play, the higher your trainer level will become, eventually leading to more powerful Pokémon appearing. You can also evolve some Pokémon and collect Pokémon eggs from PokéStops (in real world locations like public art installations, historical markers, museums and monuments) that will eventually hatch. The gym system will apparently feel a little like Ingress. Three different teams will be available to join. If your team sets up shop in a gym (again, in a real world location), each player can station a Pokémon there to defend it. To capture a gym, your team must defeat the defenders in battle. An early test of the game is starting in Japan soon, but hopefully we'll all get to be Pokémon trainers before long.